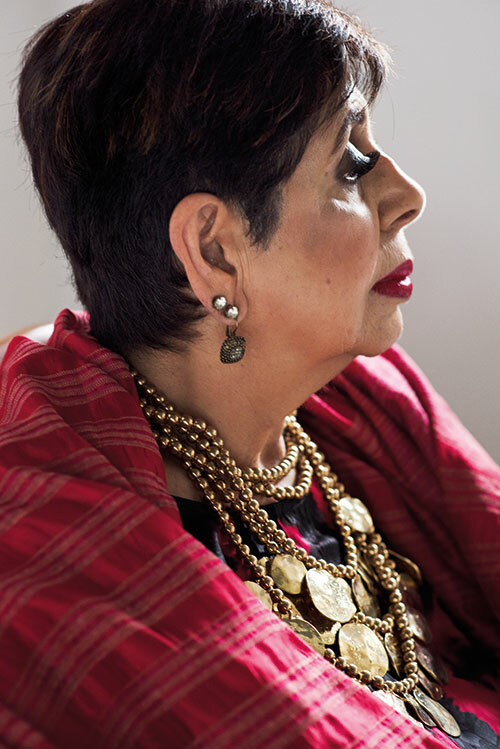 The grand dame of fashion jewellery in India and her eponymous brand need no introduction. Setting out crafting big, daring and individualistic ornaments more than 35 years ago, Jamini Ahluwalia has been evolving with the changing tastes and preferences of the fashionista. While the designer is incessantly influenced by the art and culture that she experiences during her travels, she does not mince words when she declares that, in her world of aesthetics, an academic degree does not enhance one’s creativity. This, she says, is something that is inborn or drawn from one’s cultural upbringing. During Ahluwalia’s childhood, her elders were continuously involved in interesting endeavours. “The men were as imaginative as the women. My paternal grandfather spent time with his sketchbook and my maternal grandfather was always collecting fascinating things. He had a cupboard stuffed with bric-a-brac that captivated me as a child. Our home was a repository of unusual collectibles and brilliant people. With that kind of environment, the seeds of originality were sown early,” recalls Ahluwalia, who is known for her exceptional thematic jewellery. Fond of designers such as Kenneth Jay Lane, Ahluwalia continues to derive inspiration from the past though she adds that any kind of craft needs to be flexible, to be in sync with the times. “I just witnessed the jewellery collection by Giacometti exhibited at Tate Modern. It was breathtaking,” she maintains. Ahluwalia’s mother Chandu Morarji was one of the first to set up a design store called Dagina at the Bombay Swadeshi in the Fort area in Mumbai. While helping her mother to collaborate with stores like Le Printemps and Galeries Lafayette in Paris, she gained further insight into the trade. “We were working with an array of shapes using raw materials such as glass, wood, clay and brass. India had never seen jewellery made with these materials before. It was a learning curve for me. Even today, I use some of those shapes in my work,” she says. “I lived in Paris for seven years and tried to go to an art school. But it was so boring that I gave up. Without any formal training, I relied on the knowledge gleaned from my family environment and from the fashion capital of the world, to progress. I spent time at art galleries and museums, studying the use of colour. Countries like Africa — and our own tribal and folk population — are a rich source of ideas. During my sojourns, I look for vintage pieces that I can incorporate in my work. 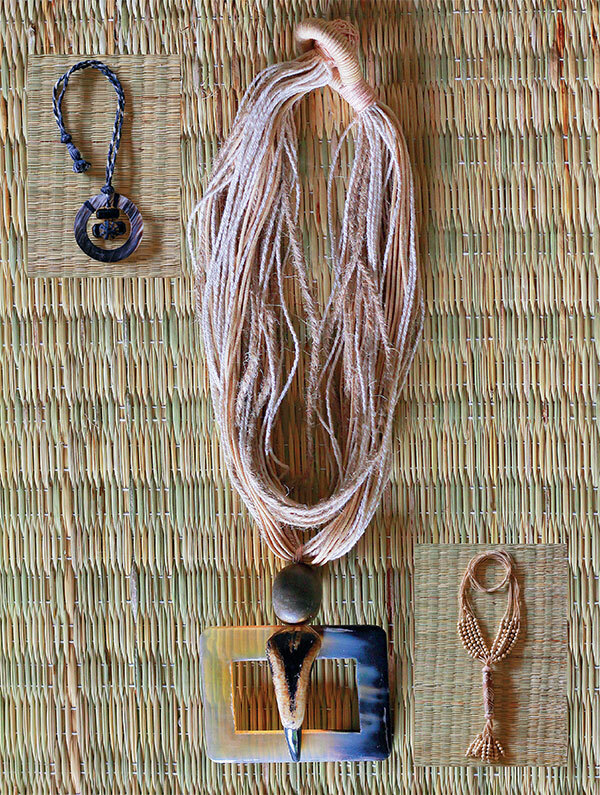 Though my forte lies in the big and bold, of late I’ve toned down the dimensions and started mixing various elements.” Her new collection also incorporates semi-precious stones for the first time.